When I think of beans, I think of scarlet runners (Phaseolus coccineus). The heavy croppers brighten my garden with red flowers and produce abundant, dark green pods all summer. However, there are as many varieties and colours of beans as the summer days are long. Colourful Phaseolus vulgaris varieties include ‘Purple King’, ‘Neekar Golden Runner’ and ‘Borlotto Fire Tongue’, the last of which has creamy yellow pods that are mottled with red, while Vigna unguiculata ‘Yard Long Red Noodle’ puts on a great display of burgundy pods. Fortunately for us gardeners, whichever variety we choose, the growing requirements are largely the same. 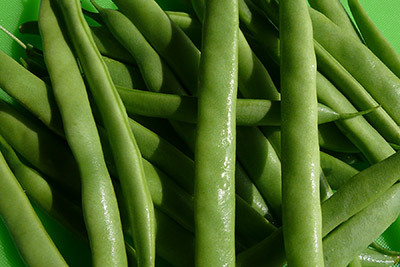 Beans (except for broad beans) are a warm weather crop. Seed won’t germinate in soil temperatures below 13°C, while both seed and seedlings rot in cold, damp conditions. For an early start to the season, beans can be started indoors in pots in August-September and planted out in October once the soil warms up. The perfect time to place seed directly in the garden is now, and the best practice, if you want to space out the harvest, is to add more at intervals of four weeks or so, until the middle of summer. Direct planting is the better option since the plants resent root disturbance, but ensure seedlings are protected from slugs and snails, which will devour any number of emerging seedlings in a single night. Plant seed at a depth approximately three times their diameter. Space climbing beans around 20cm apart, in rows around 60cm away from each other. Only half that distance is required for bush beans. Place two seeds in each hole (or pot) and snip off the weaker seedling once it starts growing. Soaking seed overnight can speed up germination. 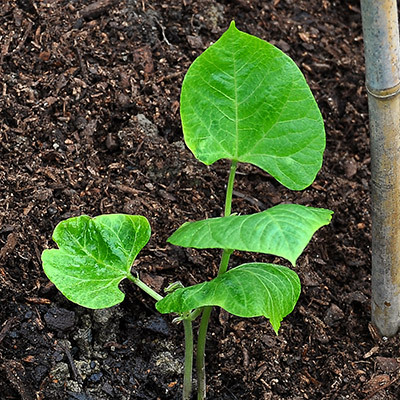 Like the majority of vegetables, beans grow best in a sheltered, sunny position, in well-drained soil. They are not heavy feeders and are nitrogen fixers (i.e. bacteria on the plant’s roots convert nitrogen from the air into a form that can be used by the plant). One application of fertiliser prior to planting should be sufficient for the season. Too much nitrogen fertiliser causes leafy growth at the expense of flowers and pods. Beans growing in pots, however, have a higher requirement for fertiliser. To get the best results, apply a liquid tomato fertiliser every two weeks. 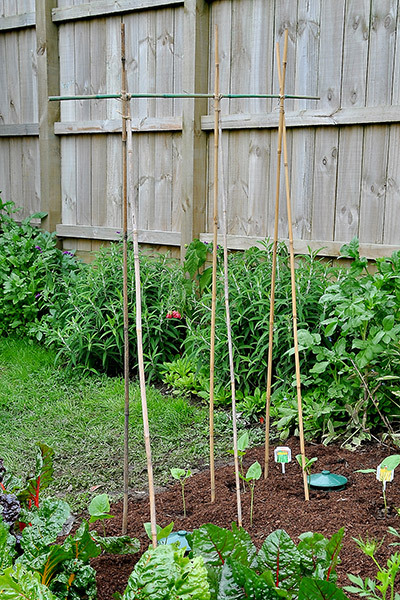 Bush beans grow to a maximum height of around 60cm, so don’t need support. Pole or runner beans, as their names suggest, do need a frame. They don’t have tendrils, but twine around a vertical support, which can take on many forms. Common structures include a single pole, tepee, maypole with strings to the ground, and crossed bamboo canes lashed to a central pole. Whichever support you choose, it needs to be strong, at least 2m tall, with a further metre sunk into the ground, as you don’t want the frame to topple under the weight of the beans or be blown over by the wind. The frame should be in position before you plant your beans. One of the keys to a good harvest is to keep beans well watered over the dry summer months – the soil shouldn’t be allowed to dry out once the flowers appear. A mulch around the base of the plants (e.g. pea straw) can help keep roots cool and moist. A second key point is to harvest beans regularly to encourage new flowers to grow. While bush beans are faster to grow pods than climbing beans, they produce a smaller crop over a shorter season. They shouldn’t need support unless cropping heavily. Runner beans can crop for up to seven years, but, because they lose vigour, they are usually treated as annuals. Unlike other beans, which are either entirely or partially self-fertile, runner beans depend on insects for pollination. A lack of bees can be the reason runner beans fail to set pods. Other reasons are bumble bees biting into the base of the flowers and high night-time temperatures. Frames for beans can take many forms, but all of them need to be tall, strong and put in place before planting the beans. Harvest the beans regularly so the plants produce new flowers and pods. 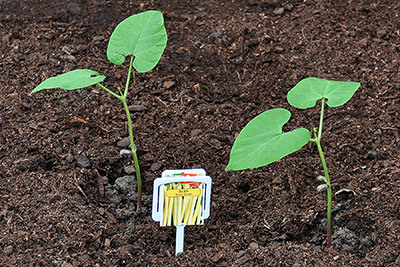 Plant two bean seeds per hole or pot and snip off the weakest seedling, at ground level, once it sprouts. Dwarf beans shouldn’t need support unless they are cropping heavily. 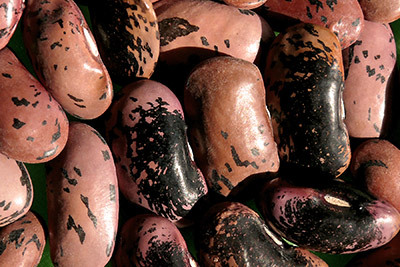 Avoid overwatering bean seeds and seedlings as this can rot them. Harvest the beans regularly so the plants produces new flowers and pods.